several questions as I am considering joining Vodafone. 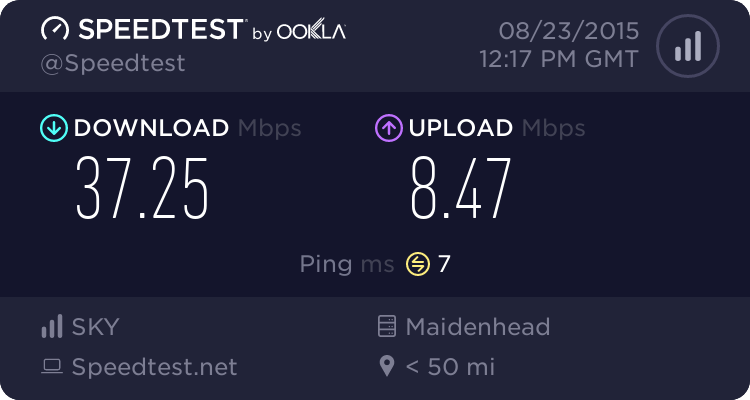 1. does anyone on the 80mb down 19mb up package stream on Twitch and if so how well does it work? 2. has the blocking user-submitted content issue been rectified? 3. can you use your own equipment? Re: several questions as I am considering joining Vodafone. With the 38Mbps service I could stream the 4K version of Netfix, The Crown without buffering delays. Some people clearly do suffer from contention issues. If that happens, you can cancel during the 1st month without penalty. I am not aware of the issue. Yes, and I do. You need to ask them for the connection userid and password. When you do this you may need to tell them which router on the BT SIN 498 list you intend to use. What you actually do could be different.